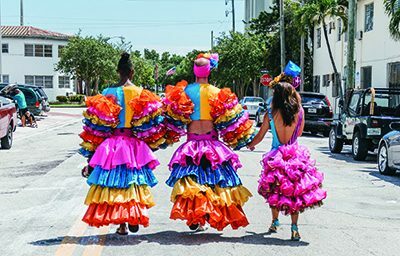 Rosie Herrera is a Cuban-American dancer and choreographer, and the artistic director of Rosie Herrera Dance Theater in Miami. She graduated from New World School of the Arts with a BFA in Dance Performance. She is the recipient of numerous dance fellowships, including a Princess Grace Choreographic Fellowship and a U. S. Artists Sarah Arison Choreographic Fellowship, and her work has been commissioned by organizations including the Miami Light Project, the Ballet Hispanico, Moving Ground Dance Theater, Houston Met Dance, New World Symphony, and the American Dance Festival. Rosie is also a classically trained lyric coloratura soprano who performs with the Performers Music Institute Opera Ensemble. She has collaborated with filmmakers Adam Reign, Lucas Leyva, George Echevarria and Clyde Scott to create original short films and music videos.